Turns out, America had made one miscalculation after another. From the time U.S. combat troops began shipping over to Vietnam in 1965 to fight the spread of communism, Americans weren’t quite sure what to make of the war playing out in jungles and rice paddies halfway across the world. But in the eyes of millions of Americans, one thing seemed likely: It was only a matter of time before the United States, a global superpower with vastly superior military might, would prevail. It was 2:45 a.m., on Jan. 30, 1968—the day Vietnam celebrated the lunar new year—when Viet Cong troops raced through a three-foot hole they had blown in a wall protecting the United States Embassy in Saigon. 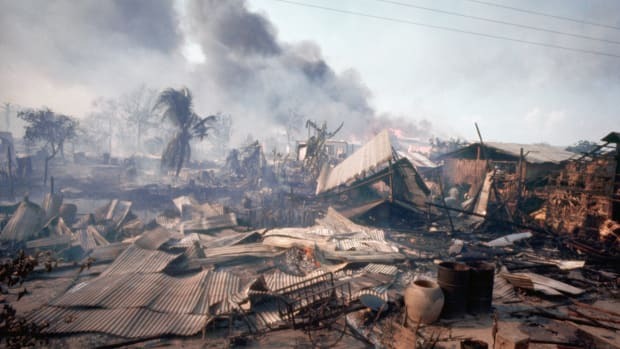 Thus began the Tet Offensive, in which thousands of communist-backed Viet Cong fighters waged a series of major assaults on big cities, provincial hamlets and regional capitals across U.S.-backed South Vietnam—more than 100 locations in the first 24 hour alone. In addition to the bloody fighting in the Embassy courtyard, they waged fierce attacks on strategic targets such as the presidential palace, Saigon’s Tan Son Nhut Airport and the city of Hue, once a seat of emperors. In subsequent days, more waves of the offensive followed. Launched 50 years ago this week, Tet was in some key respects a military bust for the Viet Cong. American and South Vietnamese troops quickly regrouped, fended off the attackers (the embassy invaders were quelled within hours) and ultimately killed as many as 40,000 enemy soldiers. 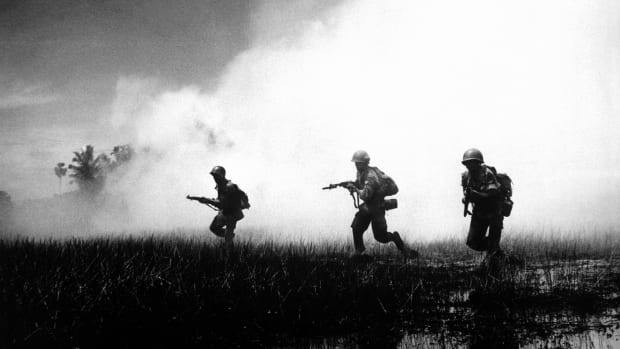 The Viet Cong’s “regular units were decimated and would never completely recover, and its political infrastructure suffered crippling losses,” wrote Vietnam War historian George Herring. Nonetheless, they wouldn’t fold. The Vietnamese had a long history of resisting outside forces—most recently French colonials. So the war ground on, beamed nightly into American living rooms on the evening news. Tet became a turning point—not militarily on the ground, but in terms of politics, policy and public opinion back in the United States. 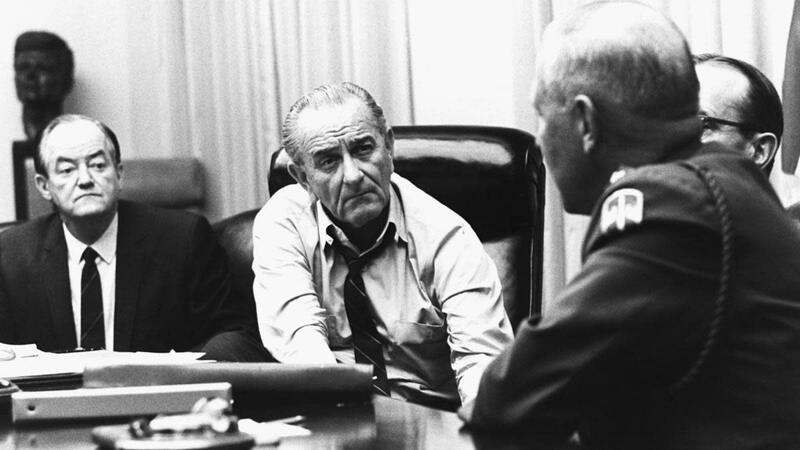 Tet would become a political disaster for President Lyndon Johnson’s administration, overshadowing his considerable domestic policy successes in attacking poverty, creating social safety nets and codifying civil rights. The offensive sowed profound doubts about the war’s course—exposing the truth that, in spite of the presence of some 500,000 American military personnel in Vietnam, three years of fighting and heavy casualties had yielded nothing more than a protracted, bloody stalemate. Ultimately, it triggered a series of forces and events that gradually led to the total withdrawal of U.S. forces from Vietnam by 1975. By the time Viet Cong combatants took up positions in the American embassy courtyard, Vietnam had become a test case of America’s resolve in waging the Cold War. Since the mid-1950s, American strategists and elected officials had considered Vietnam key to the containment of communism across the globe. If the United States let communists grab control of South Vietnam, official doctrine held, the rest of Southeast Asia would fall with domino-like precision. Installing—and maintaining—non-communist leadership in South Vietnam became central to America’s Cold War strategy. Three years later, President John F. Kennedy concurred: “Withdrawal [of U.S forces] in the case of Vietnam and the case of Thailand might mean a collapse of the entire area.” Just as an earlier generation of critics had said Harry Truman had “lost” China to the communists, no president wanted to be the one responsible for letting Vietnam turn Red. America’s entry into the war—one of the most chronicled stories of 20th century U.S. history—hinged on a series of fundamental miscalculations. When Kennedy approved a C.I.A. 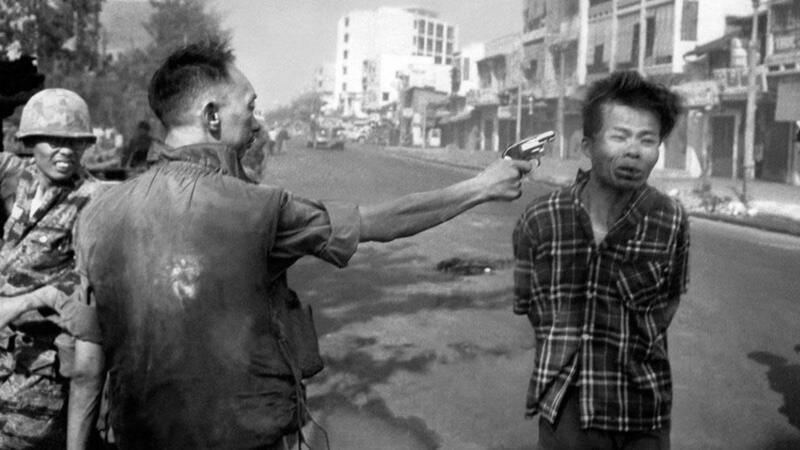 coup that led to the assassination of South Vietnam’s leader Ngo Dinh Diem and the overthrow of his government, America in effect became responsible for the fate of South Vietnam. 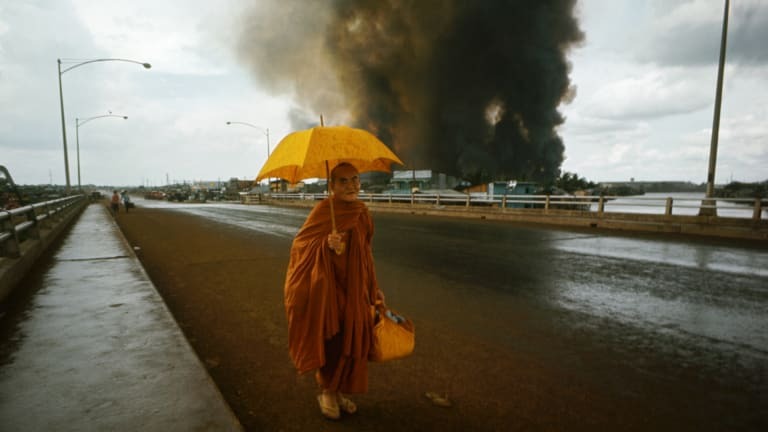 And yet the subsequent U.S.-backed regimes there were corrupt, repressive and lacking in popular support, since South Vietnamese leaders suppressed Buddhist religious worship, rounded up anti-government critics and enriched themselves. At the same time, the most respected minds in American foreign policy concluded that a third-world army such as North Vietnam’s could never match the military superpower that had defeated fascist Germany and Japan just two decades earlier. Another miscalculation that set the stage for political disaster: the sunny public messaging U.S. officials put out regarding the war’s progress. In a speech four months before the surprise Tet attacks, LBJ claimed “steady” and even “dramatic” progress from when he first sent substantial numbers of troops there in 1965. Soon after, General William Westmoreland, the top U.S. commander who had overseen the war since 1964, declared to the American people that the conflict’s end was in sight. Meanwhile, the Defense Department fed the public artificial, often inflated tallies of weekly enemy casualties. Washington also underestimated the enemy’s capacity for conducting a war on multiple fronts. The North Vietnamese army’s 77-day bombardment and siege of Khe Sanh, a five-square-mile Marine garrison, beginning January 21, 1968, riveted much of America’s attention and became an obsession for Johnson, who insisted the fort couldn’t be lost. 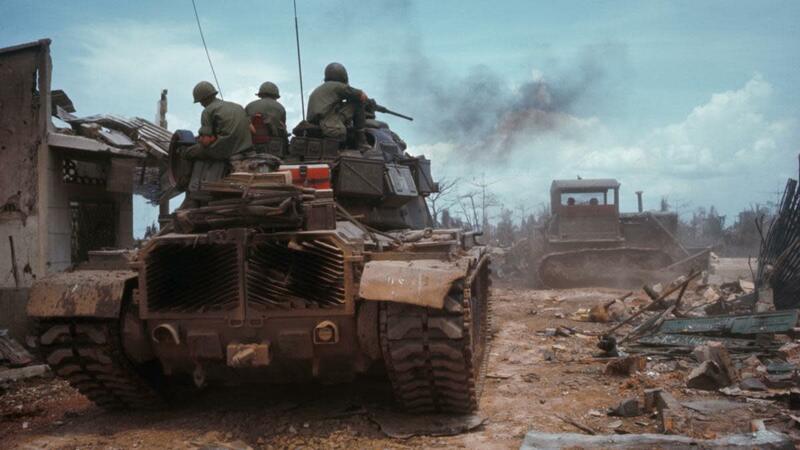 Believing the enemy didn’t have the combat strength to maintain the siege and launch a massive offensive elsewhere, the president and his military commanders were caught off-guard when, less than two weeks after the Khe Sanh siege began, the massive Tet offensive commenced. As one Washington official put it, “troubled confusion and uncertainty” now reigned in the capital. The U.S. news media, especially television reporters, captured much of the war’s bloodshed with vivid images and narratives broadcast into Americans’ living rooms night after night. The stories and pictures contradicted Johnson administration reports that victory was within America’s grasp. Peter Arnett of the Associated Press quoted a U.S. Army officer who had just helped liberate Ben Tre, a delta town, as saying, “We had to destroy the town to save it.” Vietnam, it seemed to more and more Americans, was requiring the United States to sacrifice the very ideals it was supposedly fighting for: liberty, democracy, human rights, the rule of law. For millions of Americans, it was more than they could stomach. 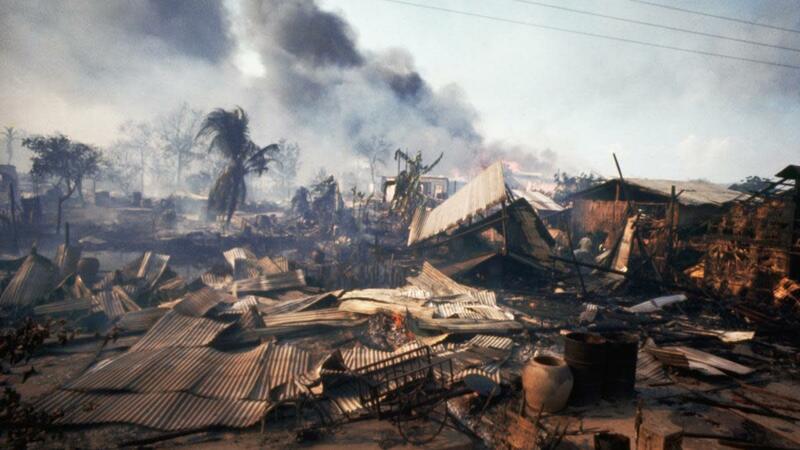 Tet, for many, crystallized the war’s costs—moral, strategic, in lives lost, dollars wasted. In December 1967, a Gallup poll found the American public almost evenly split on the question of whether sending troops to fight in Vietnam was a mistake. By August 1968, 53 percent thought sending troops was a mistake, versus 35 percent who said it wasn’t. Tet was one big factor that had swayed hearts and minds. In early March 1968, General Westmoreland asked the White House for an additional 206,000 troops. But LBJ, unpopular, isolated and foundering, rejected the request. Public support for his handling of the war cratered—and with it, his hopes for a second term. Antiwar candidate Senator Eugene McCarthy fell just a few hundred votes shy of defeating the sitting president in the New Hampshire Democratic primary in early March. On March 31, faced with a mounting revolt against his war polices, Johnson announced new restrictions on U.S. bombing of North Vietnam—and, most importantly, that he would not seek a second term. Later that year, Republican presidential hopeful Richard Nixon vowed to bring “an honorable end to the war” in Vietnam, running as a hawk yet mindful of the growing clamor to draw down U.S. forces from Indochina. After the shock of Tet, criticism mounted, even in Johnson’s inner circle. His new defense secretary, Clark Clifford, called Vietnam “a bottomless pit” and envisioned “more and more fighting and more and more casualties and no end in sight.” Secretary of State Dean Rusk said Tet had snuffed out hope for a U.S. win in the Vietnam War. In June, Johnson relieved Westmoreland of his command. 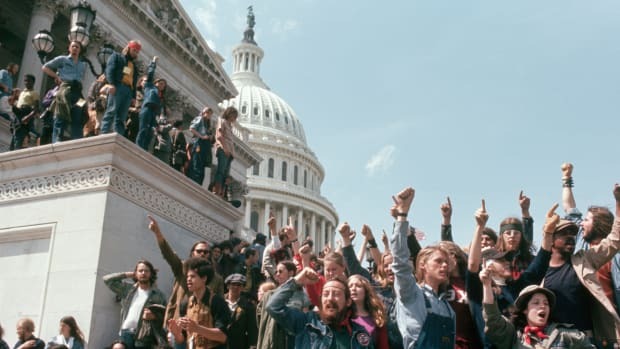 Tet also served as a kind of unofficial harbinger for 1968 as a whole—ushering in the chaos, violence and crisis in faith in American leadership that came to define the troubled year. Tet helped quicken the public’s declining faith in its political leaders and institutions—giving both left and right fresh ammunition to depict career politicians as liars. This crisis of faith in political leadership has sunk roots in our culture. Career politicians are routinely denounced as dissemblers who care more about their own re-election than serving their constituents or the national interest. Tet has also, at least faintly so, echoed in subsequent U.S. wars. When a civil war broke out in Iraq after President George W. Bush had declared “mission accomplished,” the dangers of overselling the public on a war’s progress came into full, painful view. Finally, Tet calls to mind another legacy: Presidents who decide to send thousands of American soldiers to fight overseas have much less control over what happens on the ground than they like to think. Thus, leaders who refuse to learn the lesson of Tet—about the costs of war on American lives and the lives of other peoples—risk falling into a trap of false assumptions, misleading forecasts and hubris in military adventurism overseas. 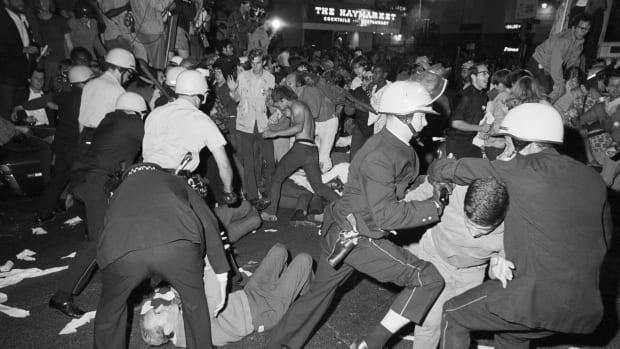 Was 1968 America’s Bloodiest Year in Politics?